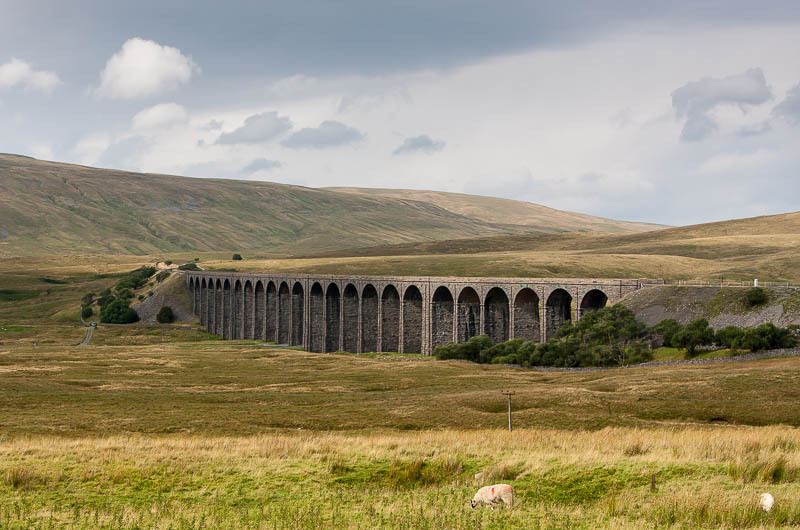 A few pictures of the famous Ribblehead viaduct on the Settle to Carlisle railway. 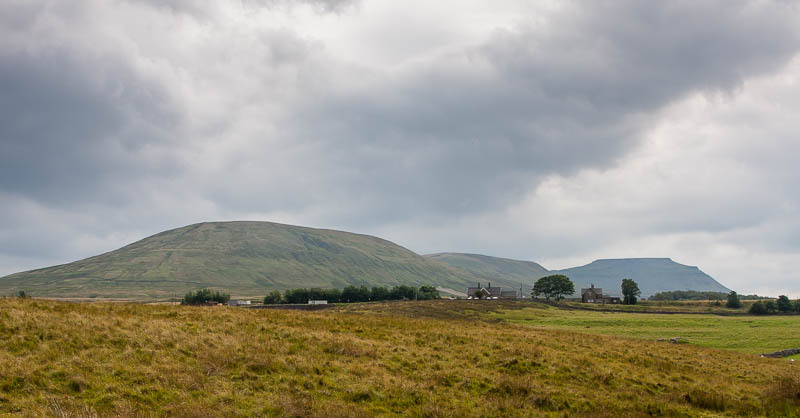 The distinctive shape of Ingleborough in the distance. 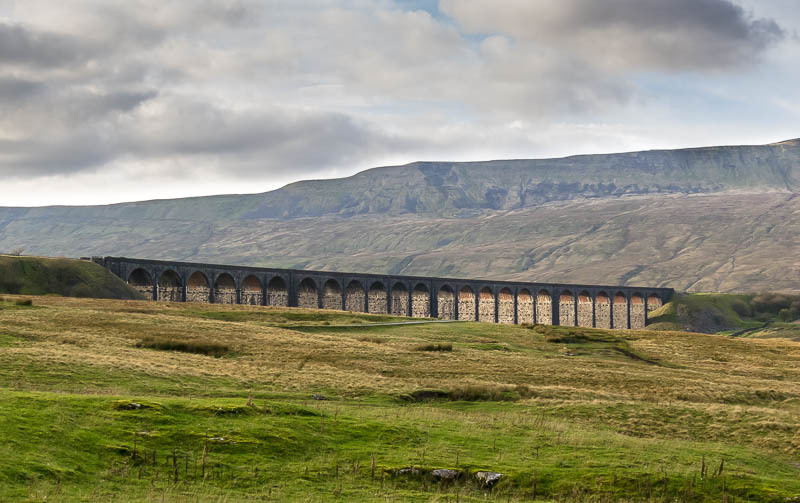 Ribblehead viaduct and Whernside taken from the eastern side. A couple of shots from the western side. 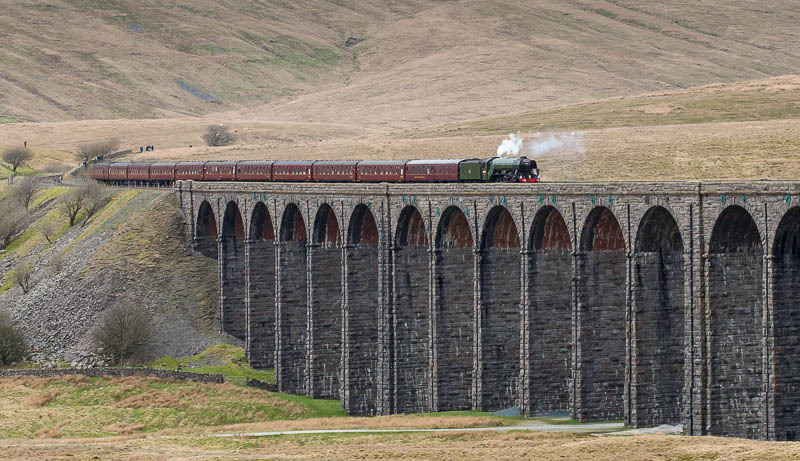 This would be a good place to capture a steam train passing. Unfortunately not today though! A brief stop on a day out in Yorkshire. 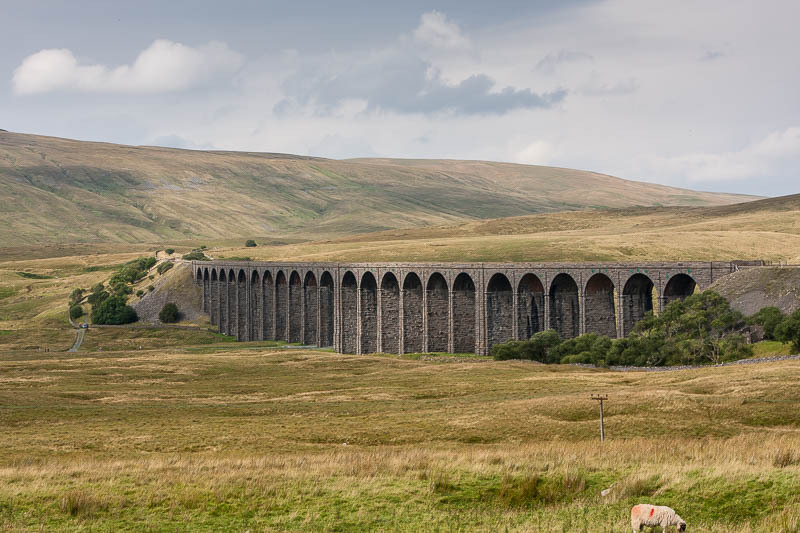 The famous Ribblehead viaduct. 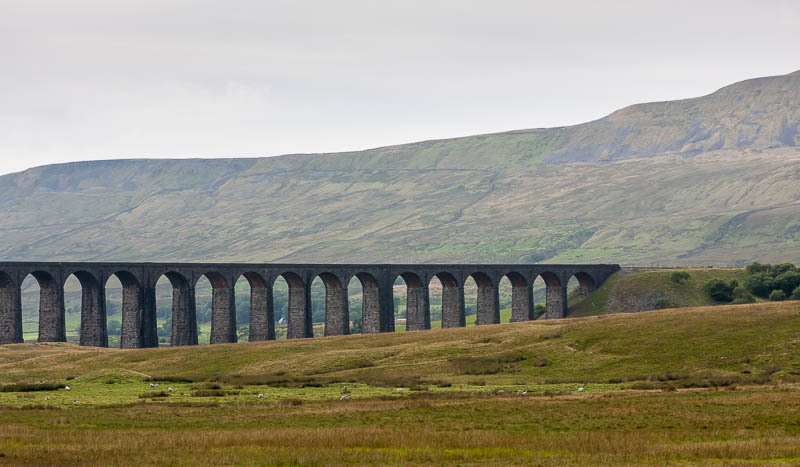 The mountain in the background is Whernside, one of the Yorkshire three peaks. 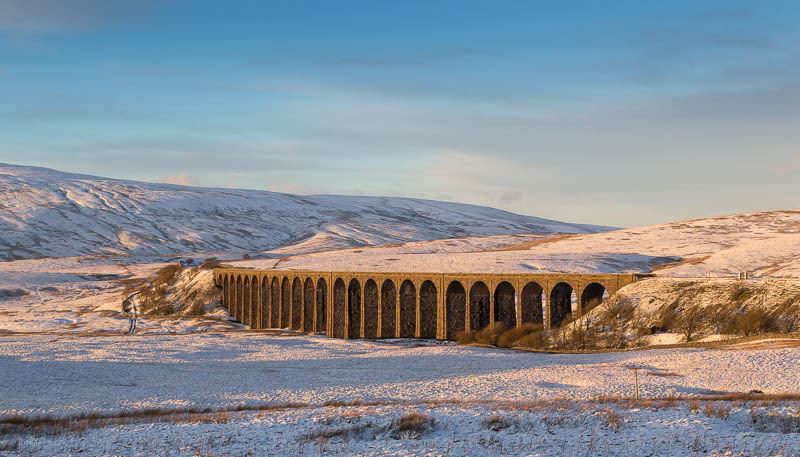 With snow on the ground I could not resist a short stop to photograph the viaduct. Just needed a steam train to make the perfect picture! 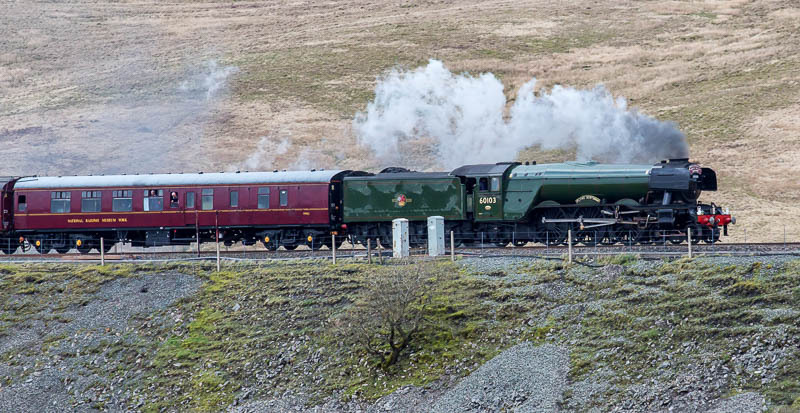 To celebrate the reopening of the Settle to Carlisle line the flying Scotsman did a return run on 31st March. 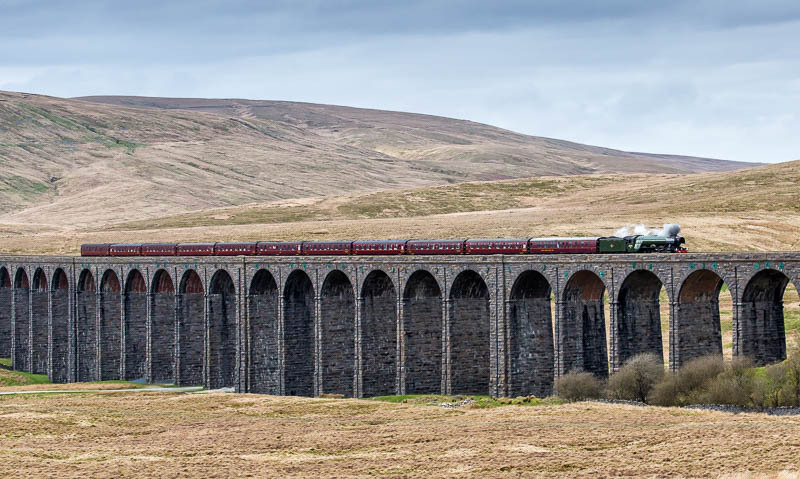 We went to Ribblehead to catch the train on its return journey. 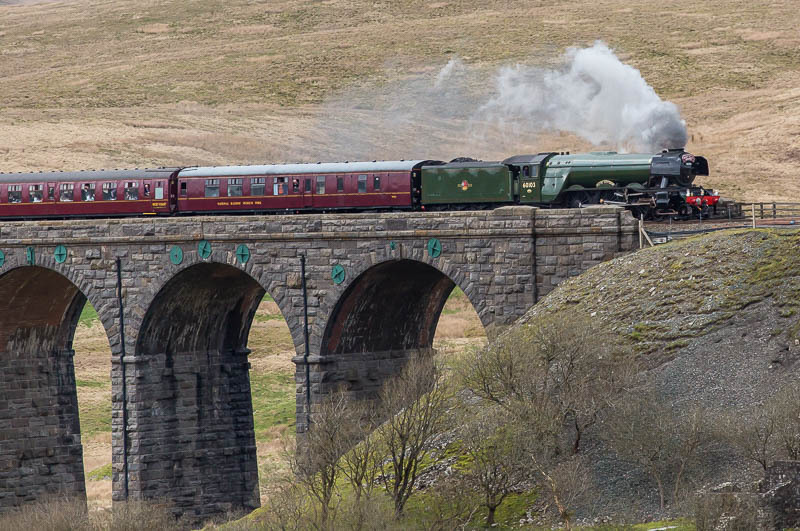 We finally got to see a steam train crossing the Ribblehead viaduct. There were quite a lot of people out to see the train. A couple of closer views. It was all over too quickly.